Forget love, I would rather fall in chocolate! I could eat chocolate for dessert after every meal, no exaggeration! 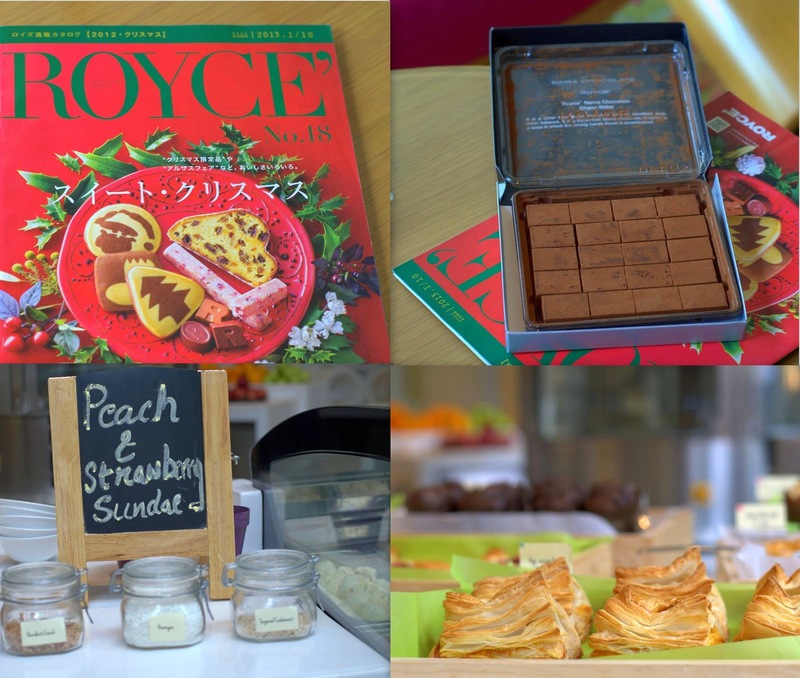 An invite for an exclusive sneak peak into confectionery products from an international Japanese company, Royce, saw me huffing and puffing to JW Marriot, Bengaluru on a Saturday morning. Learn to drive! Or you will get into a tiff with the auto driver trying to take you for a ride with a tampered meter. And you may not always have creamy chocolate truffles to perk you up! When we talk about gastronomic delights from the Land Of The Rising Sun, for once its not sushi or tempura, but chocolate! Royce (not Rolls Royce!) is a Japanese company in Hokkaido, Japan’s northernmost island, known for its rich natural environment and cold climate. Chef Jolly, Director, F&B started with an introduction to the chocolate tasting session. Avani Raheja and Samir Gadhok, Directors, Burgundy Hospitality spoke about Royce, and the products they plan to launch shortly in Bengaluru on 20th June. We tasted a range of their products, mostly chocolates and cookies and some really good truffles! The cocoa kissed squares are called Nama Chocolate. Egg free, smooth and creamy, these come with a thermal bag to help retain the delicate texture during the journey from the store to your refrigerator. We tasted the liquor free Ghana Bitter - truly good, melt in the mouth texture with a pleasant bitter edge. Reminded me of these truffles I had made some time earlier. Sure to please most palates, this is the clear winner in this range. This is the kind of confection you may want to gift or take home as an indulgence. We also tasted the sweetish, Mild Cacao truffles too, but I will choose dark over milky any day. The other flavors in this range include Equador sweet, Pierre Mignon and Au Lait. Delicate, thin, tender-crisp, just-about sweet. These are chocolate dipped Baton Cookies for you. The coconut flavored ones did not taste all that special as the flavor combo is extremely common in most bakeries of the South. The Hazel Cacao batons, specked with cacao beans were nice, but not really impressive. Dark chocolate and a hint of coffee would perhaps complement the flavors of cacao and hazelnuts better. I love chocolate, but hey, this was serious chocolate overload! Sips of water and the canapés served in between by the Chef helped. Then there is Criollo Chocolate - Little squares in sweet and bitter, made with the rare Criollo cacao bean (one of the considerations for the pricing I gather). 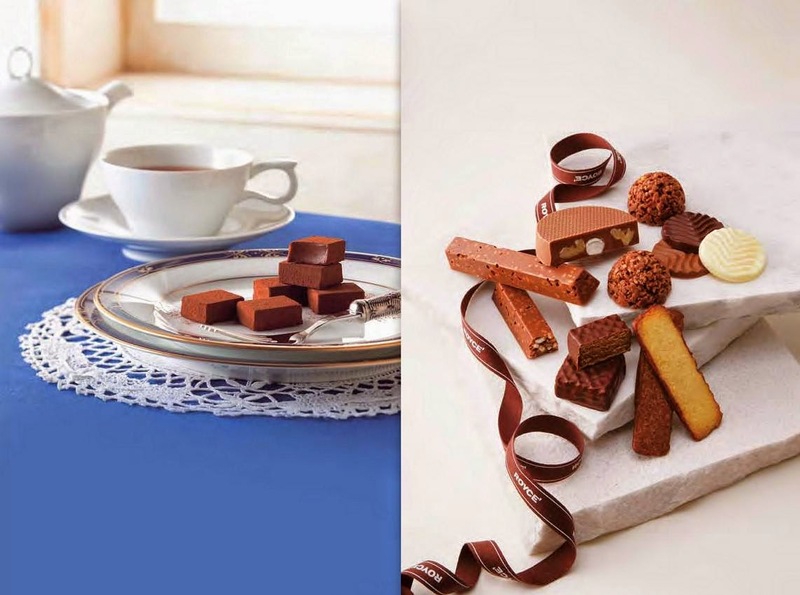 On the left is the specially designed Pure Chocolate to enhance the chocolate experience. What can be better than eating a packet of crisp potato wafers? If you adore salty-sweet, potato wafers coated in chocolate! Am not a fan of salty-sweet flavors, but this had lots of takers! Just read up on your parenting tips before you treat your kids to something like this! Other chocolates from the Royce range as described in the catalog. These will be gradually introduced here. Berry Cube - Thin strawberry-scented milk chocolate squares filled with a sweet-and-sour raspberry and blueberry sauce. Nutty Bar Chocolate Crunchy, finger-sized chocolate bars packed with macadamia nuts, pecans, cashews, almonds and crispy puffs. Hazel cream wafers - hazelnut cream sandwiched between wafers and dipped in chocolate. Sounds good to me! Amande Chocolat - I would have loved to taste this! Roasted almonds coated in dark, milk and white chocolate. Coffee chocolate - Claims to have an impressive aroma that is similar to that of freshly-brewed coffee. Royce Red Collection - An assortment from the collection . Images below from the catalog. My opinion : A range of products to please most palates. 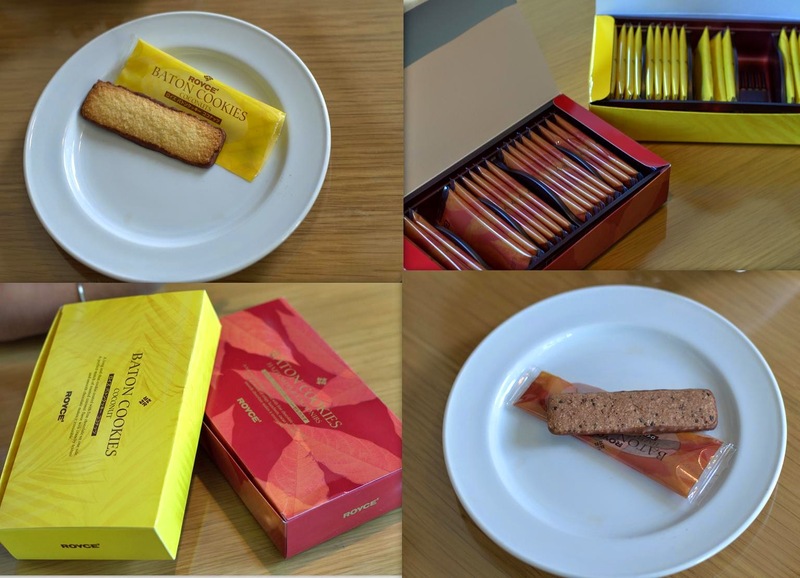 Priced around Rs.500 for the bars and Rs.1,000 upward for the rest of the range (for about 12 pieces in a box ). You may want to splurge on Nama chocolates though am not sure if I could justify spending on the rest in the range. Currently being retailed out of their outlets in Mumbai at JWM Mumbai and Palladium Mall, this range will be launched at JWM, Bengaluru on the 20th of this month. 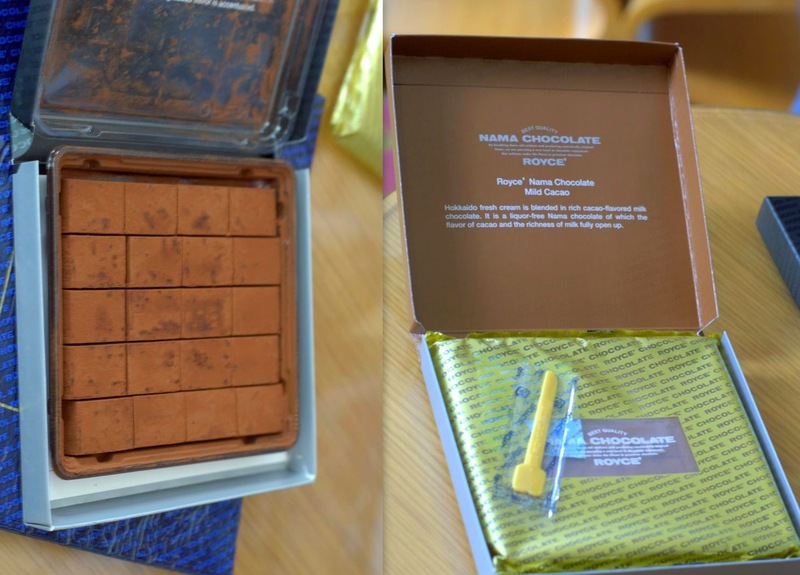 Thank you JW Marriot for having us over, I am sure Nama Chocolates will be a great hit in Namma Bengaluru!